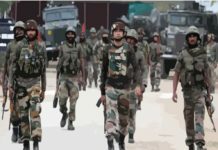 Security forces today launched a cordon and search operation (CASO) in Hajin area of north Kashmir’s Bandipora district. Internet services were snapped as a precautionary measure. The search operation was launched in Mir Mohalla, Hajin after receiving inputs about the presence of militants in a residential house. 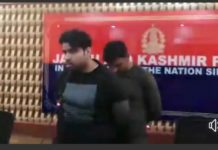 He said that the CASO was jointly launched by Army’s 13 RR unit, Jammu and Kashmir Police’s Special Operations Group (SOG) and Central Reserve Police Force (CRPF).